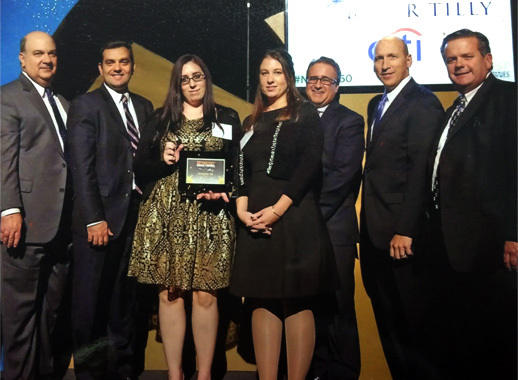 Princeton Junction, NJ, Sept 2014: NJBIZ and their event sponsors ParenteBeard, Citi, Archer & Greiner, Comcast Business, Mass Mutual, and UnitedHealthcare announced that NewAgeSys, Inc. has been selected as one of New Jersey’s 2014 50 Fastest Growing Companies! The 50 Fastest Growing Companies awards program honors New Jersey’s most dynamic businesses who progressively contribute to the success of the state’s economic growth and stability. We are honored during the awards reception and ceremony held on November 13, 2014. Winners are also highlighted in a special newspaper supplement distributed at the event and inserted into the following week’s issue of NJBIZ. NJBIZ, New Jersey's leading business journal, produces a weekly print edition with a circulation of more than 15,000 copies, as well as providing 24/7 business news coverage through its NJBIZ.com website and multiple daily e-newsletters. The publication, founded in 1987 and based in the Somerset section of Franklin Township, is also well-known throughout the state for its events honoring New Jersey’s top business professionals. www.njbiz.com.